“The issue is not complicated to explain to the public. The Prime Minister cannot borrow any amount over 10 million dollars without first getting approval from the National Assembly, meaning the House of Representatives and the Senate. This has not been done. “The second issue is that the law requires the Prime Minister to submit to the National Assembly the estimate of expenditures for the monies. This the Prime Minister has not done. – from THINK ABOUT IT, pg. 22, The Belize Times, 16 November 2014. Frankly, we have not been paying a lot of attention to the technicalities of the issues being raised by the Opposition PUP with respect to the Petrocaribe money being spent by the ruling UDP. As we understand it, the Petrocaribe money is really loan money, and should therefore have been processed through the National Assembly according to the requirements of the Finance and Audit Act 2005. It appears that the Opposition is right, and so the UDP administration, in response, may be about to “post-date the Petrocaribe checks” through resolutions in the House this Tuesday, November 18, 2014. More than that, the UDP is spending big bucks to have a party show of support and force in front of the National Assembly before and during the Tuesday House meeting. In other words, the UDP may be using this opportunity to fire the first shots of the campaign for the national municipal elections which are scheduled for March 4, 2015. The waste, incompetence and corruption associated with projects reportedly financed by Petrocaribe funds have apparently not been considered extraordinary or cynical by Belize’s professional media. This may be because most of the professional media here still remember the situation in 2004 which brought Belizeans by the thousands into the streets, triggered civil disobedience and violence, and led to the drafting and passing of the aforementioned Finance and Audit Act. Why should the media not remember 2004? It was only ten years ago. And why should the media not compare 2004 to 2014, and not now feel that it is the paid Opposition and all their party and personal media systems which should be singing for their supper in the Petrocaribe matter? Do Opposition media spokesmen ever realize how ridiculous they sound when they keep telling the professional media what the professional media should and should not do? In the first place, you are your own media and you own your own systems. In the second place, the professional media functions in accord with the dictates of the marketplace. The professional media have to give the people of Belize what they want. It is true that among the professional media there are those who are subsidized by special interests, but there is no such special interest which pays or instructs Partridge Street. The proof is 45 years of history. So then, the stories which the professional media have spent a lot of time on are the Elvin Penner passport scandal, rosewood, Noh Mul, the various Edmond Castro scrapes, the Ministry of Natural Resources, BGYEA, Arthur Saldivar, Mark King, Danny Conorquie, Caracol, Chiquibul, Ramon Cervantes, Sr., Cervantes vs Vega, BSI/ASR vs BSCFA, and the like. 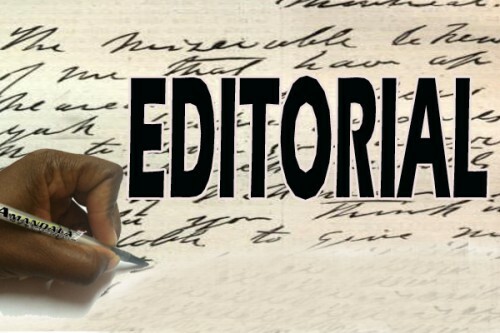 For us, what the Petrocaribe money issue has done is bring us back to April 11, 2004, and the landmark “Public finances, private domain” editorial published by Amandala. At that time, the PUP had 25 members in the House of Representatives, the UDP only 6. The then Opposition UDP’s February 2004 attempt to protest against PUP government excesses and corruption in public finances had been a failure. The UDP was practically dead in the water. Three months after the April 11, 2004 editorial in Amandala, a scandal broke out involving Social Security Board funds. Then there was a scandal in the Development Finance Corporation. These two scandals led to a Senate Committee investigation and a public commission of inquiry, respectively, and they jointly contributed to a public outcry which triggered the Finance and Audit (Reform) Act of 2005. There is much more that could be recalled about 2004 and 2005, but the November 2014 PUP’s inability to galvanize the Belizean people with respect to the Petrocaribe money issue is somewhat similar to the February 2004 UDP’s futility with respect to a PUP administration’s financial abuses. It is the PUP which should be in Belmopan demonstrating on Tuesday, not the UDP. We can’t tell the professional politicians how to run their party, but comparison between the two major parties, comparison which is unfavorable to the PUP, on a major issue such as Petrocaribe is relatively easy. The PUP raised the issue and can’t put people in the streets on the issue. This is a statement of fact, not speculation. The February 2004 UDP and the November 2014 PUP say something about the nature of Belize’s parliamentary, supposedly participatory, democracy. What the respective incarnations of our two major parties while in Opposition expose, at least to us, is the fact that the rich are inordinately powerful in our democracy, and corruption in the administrations of ruling parties does not overly concern the rich. The November 2014 PUP does not have money to put demonstrators in the streets. Where are their sugar daddies? Real rebellion against misuse of public funds has to come from the base of the pyramid, from the masses of the Belizean people. This is where the rebellion began in 2004. This is where rebellion has yet to come from in 2014.